Today consumers own more devices than ever, have shifted their consumption from physical to digital content and home networks have become nearly ubiquitous. The convergence of these trends has created a desire for consumers to not only use the network to connect to the Internet and exchange data, but also distribute the digital content among their many devices, many of which are connected over a wireless network. Significant effort has been invested to advance the state of the art for discovery, interoperability, media format compatibility, and stream quality. In parallel the network foundation has seen advancements in security, speed and overall bandwidth. With these advancements now in place, adding foundational support to the network to manage time-sensitive audio and video streams is the last critical piece toward a truly converged network for consumers and their content. Audio Video Bridging (AVB)/ Time Sensitive Networking (TSN) replaces both the physical complexity of analog cables and the network complexity of existing proprietary technologies with an open, standards-based media network. In the Consumer Electronics segment, AVB/TSN will support time-synchronized, multi-room, multi-channel and multi-manufacturer whole-home audio streaming. Little or no interoperability among brands. 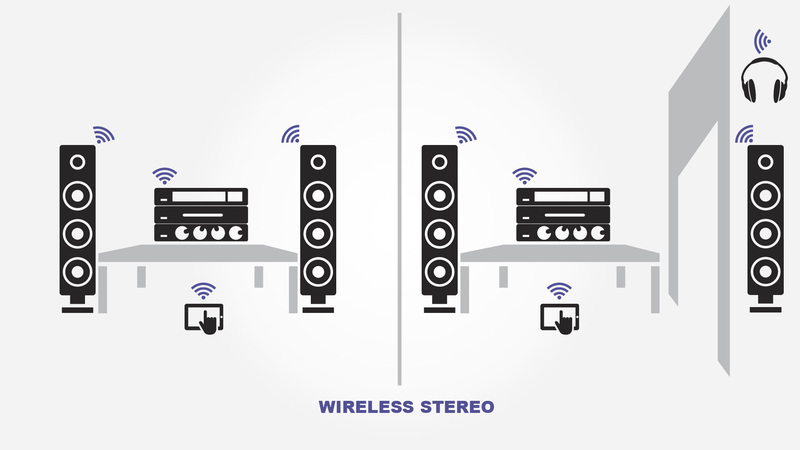 Inability to use in stereo pairs or home theater systems without precise sync. Extra bridge components often needed for certain systems. Limited A/V networking options lead to high costs. An open, interoperable standard with independent testing and certification. A network with precise timing to support low-jitter media clocks and accurate synchronization of multiple audio streams, allowing all the use cases that consumers enjoy with traditional A/V wiring. A foundation that can be used by multiple existing and future media formats, including high resolution formats. 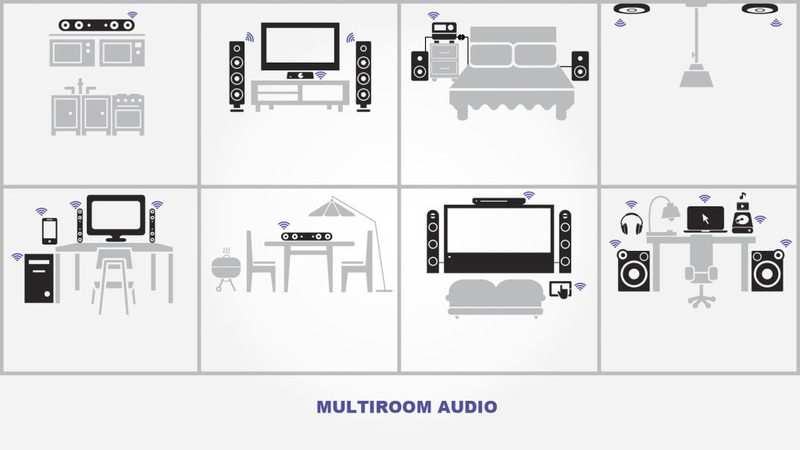 Because AVB/TSN is an open standard, multiroom audio systems utilizing AVB/TSN could potentially access a large array of devices. No matter which devices are used, in which combination or in which room, and no matter what music, movies or TV shows are being accessed, all of the devices work together as easily and reliably as if they were from the same manufacturer. Except for a few proprietary systems using specific brands and models of wireless speakers, networked audio in home theaters has been limited mostly to streaming Internet content through a receiver, Blu-ray player or set-top box. 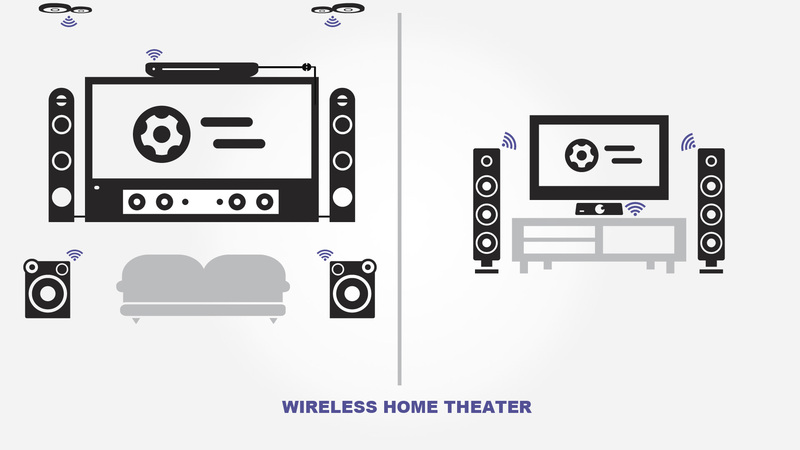 Yet wireless speakers offer many advantages in home theater applications. Audio enthusiasts and music lovers have waited decades for wireless audio that is completely transparent and unlimited in the types of signals it can carry. AVB/TSN delivers audio and video, with synchronization comparable to that of standard analog cables, yet without the degradation that long cable runs can introduce.